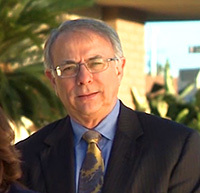 At Caronna, Johnson & Zamora, LLP, our attorneys have more than 40 years of combined legal experience and a commitment to pursuing the best possible legal results for their clients in the Palm Springs, Palm Desert, Indio, greater Coachella Valley, Imperial County, Riverside County, and San Bernardino County areas and throughout the Inland Empire. If you have been frustrated in your attempts to receive Social Security Disability or Workers’ Compensation benefits, if you have been injured through negligence or consumer fraud, or if your car, boat, RV, or motorcycle is a lemon and you can’t get satisfaction from the dealer or manufacturer. 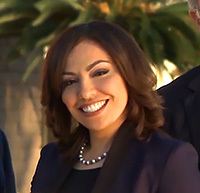 Litigating and resolving consumer law disputes requires not only knowledge of the substantive law, but also a recognition of the tactics commonly used by the defense bar representing the manufacturers and dealers. 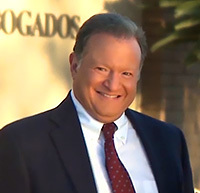 Our experience is no limited to the courtroom in order to deliver the best possible representation to our clients, we locus on resolving consumer law disputes in the shortest possible time frame. By settling most matters prior to trial, we are able to resolve cases in months, instead of years. Not surprisingly, the consumer litigation arena has attracted a number of large defense firms who specialize in this field. Manufacturers and dealers allocate substantial resources to avoiding their obligations to repurchase and/or replace vehicles under the Lemon Law and the consumer fraud statutes. Our attorneys have a broad knowledge of the strengths and weaknesses and litigation styles of the defense bar firms who represent the manufacturers and dealers. Knowing the litigation proclivities of our legal adversaries has proven to be exceptionably advantageous to our clients. Please contact us today to arrange a free consultation and case evaluation. We have been helping clients in Southern California and throughout the nation for more than 18 years. To learn more about our lawyers, please follow the links below.